Discussion in 'Random Ramblings' started by australorpchick, Jan 3, 2011. We're trying to do some renovations to our new house and guest house on a tight budget. The carpet in the master is pretty icky and needs to be replaced. The master bedroom is right above DD's bedroom (the only room downstairs). 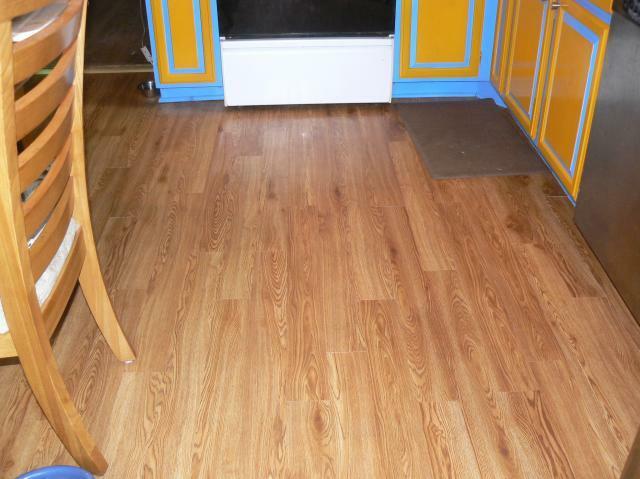 We like the look of wood, but I don't think hardwood flooring would work with our 3 dogs. Laminate is nice, but we're concerned that it may be to loud in DD's room. Tile just doesn't seem to be bedroom flooring. We thought we would be stuck with carpet again, but I came across this vinyl plank flooring at Lowes. http://www.lowes.com/pd_33259-84875...|0||p_product_quantity_sold|1&facetInfo=4 - 5 We bought some for the guest house kitchen, but the flooring really doesn't need to be replaced, so now we're considering it for our room. It looks nice and it has grain markings. Has anyone had any experience with this stuff or something similar? I got tired of replacing the carpet in my children's rooms every few years, so last year I laid a product similar to what you mentioned that I purchased at Home Depot. Called Allure and it's made by Trafficmaster (I think...). Anyway, it's held up great and they've improved it since I put mine down. I like it because it's not as loud as a laminate product and super easy to install. I put down the cherry and from a slight distance it does not look like vinyl. Not sure how you put Lowe's product down, but if you put Allure down, make sure the floor is at least 50 some odd degrees or it doesn't stick as well. Good luck! We are looking at this....has 25 year warranty and liquid proof. Just not sure if ok for mobile homes. We put something very similar to that in our kitchen two years ago. It looks great still, and has held up really well to a dog and four cats, plus all the cooking etc that gets done in a kitchen. When we first did it, several people couldn't believe it wasn't wood. Was really easy to install. If you are putting it over a textured surface, I'd recommend a very thin coating of filler to even the floor out and make the vinyl stick better. That's what we did. But make it really, really thin! Made the mistake of going too thick at first and it didn't go well!